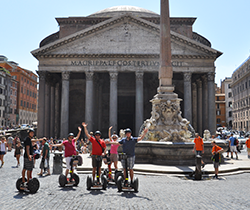 Enjoy the most famous sights of Rome’s historical center: the Trevi Fountain, Spanish Steps, Piazza Navona and more – all from the unique vantage point of a Segway. 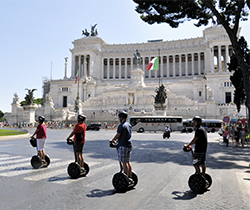 Wish you could cover all of Rome in a single day? 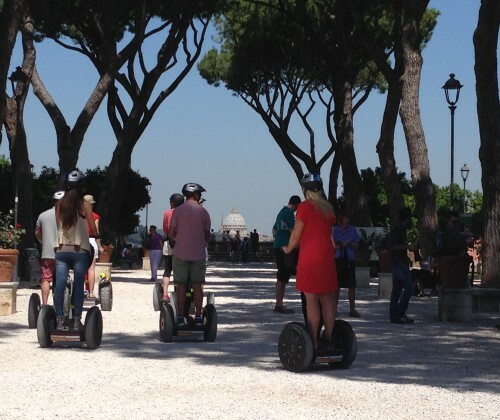 With a Segway, it’s possible! A delicious lunch of Roman specialties is included. 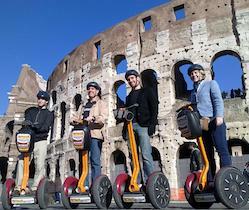 2 hour Segway tour exploring the area around the Colosseum - the most Ancient part of the city of Rome! Led in small groups of 8 or less. 9€ discount for a limited time only! 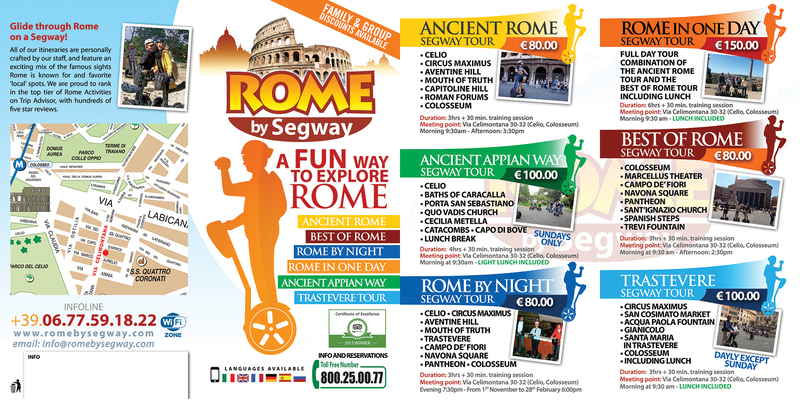 Explore the Vatican Museums in the morning by foot and the famous sights of Ancient Rome by Segway on the same afternoon. 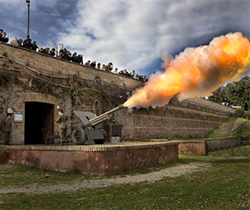 Save on the cost of booking these tours separately! 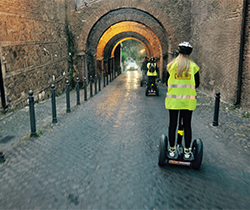 Experience Rome’s most colorful and picturesque neighborhood – Trastevere! 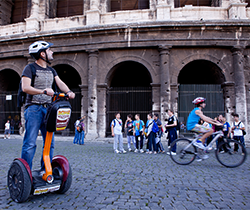 Top off your tour with a typical Roman lunch (included).